PORTSMOUTH, Ohio- The annual Oak Ridge Boys Holiday Concert tickets will be available for purchase starting Mon., Aug. 29 at 10 a.m. at the McKinley Box Office located in the Vern Riffe Center for the Arts at Shawnee State University. 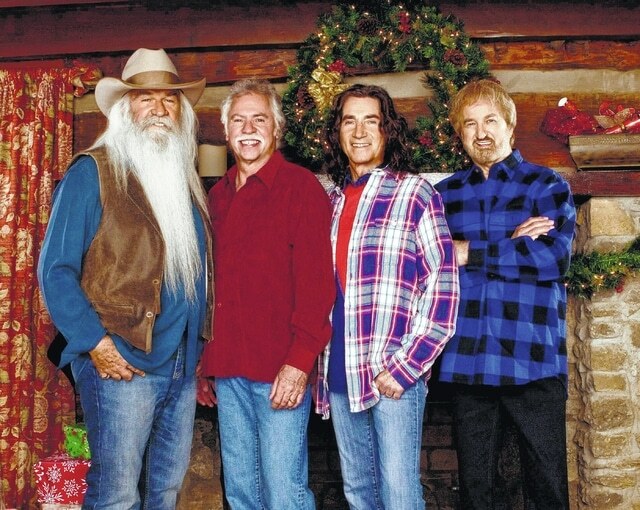 One of the Tri-State area’s favorite Christmas concert returns to Portsmouth with the performance of the Oak Ridge Boys Christmas Celebration Tour at 7:30 p.m. on Dec. 1, 2016. Tickets are $43 for adults, $40 for seniors, $33 for students and $20 for children age 12 and under. A discounted rate of $37 a ticket is available for groups of 10 or more. Tickets will be available at the McKinley Box Office from 10 a.m. to 5 p.m., Mon. through Fri., at 740.351.3600, or online at www.vrcfa.com. Due to the high volume of walk up and phone business typically received when tickets first go on sale, the VRCFA staff encourages people to continue to try to call throughout the day or purchase the tickets online. For additional information on discounts for groups and families, contact the McKinley Box Office at 740.351.3600.